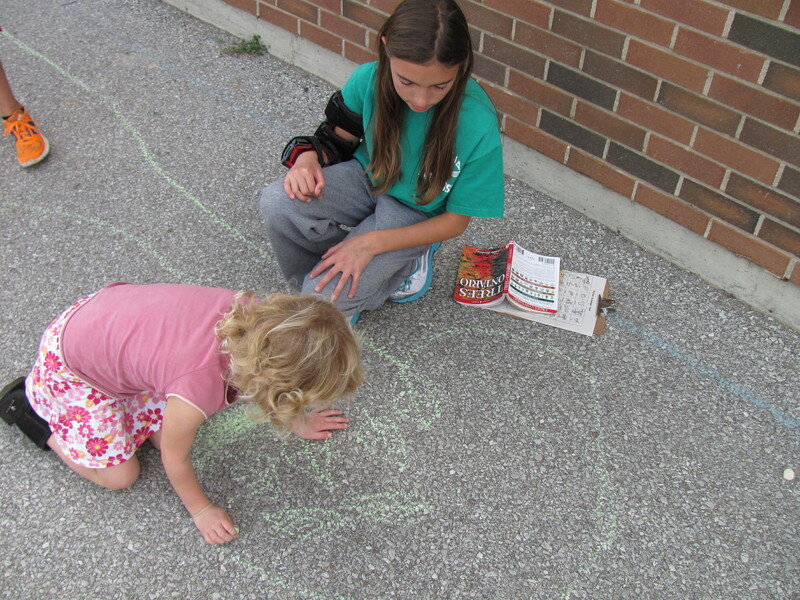 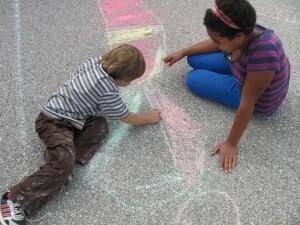 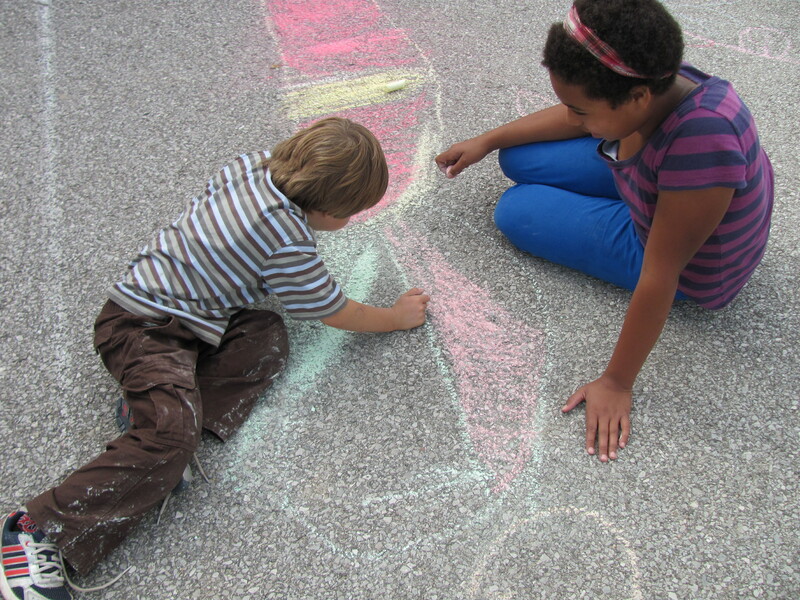 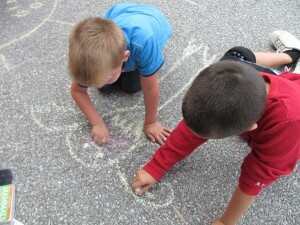 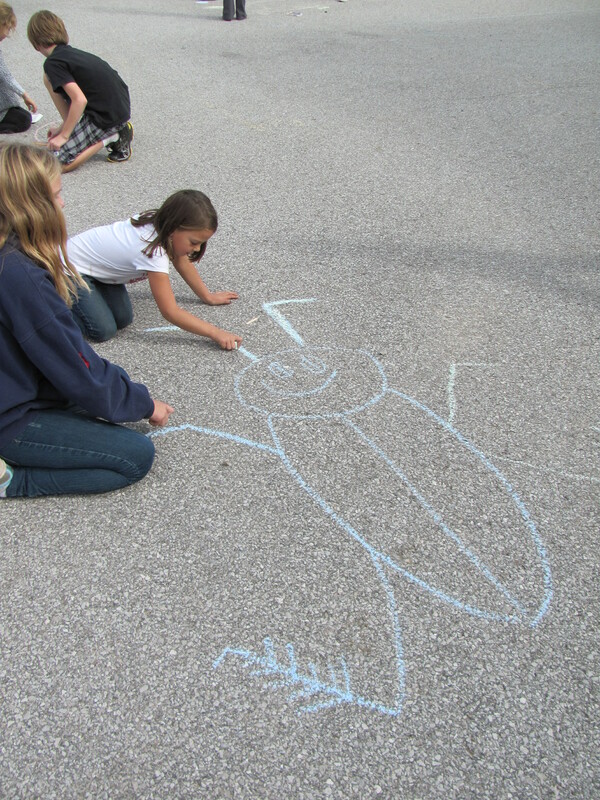 Today, the Grade 6 students met with their Grade One Science Buddies for another outdoor session. 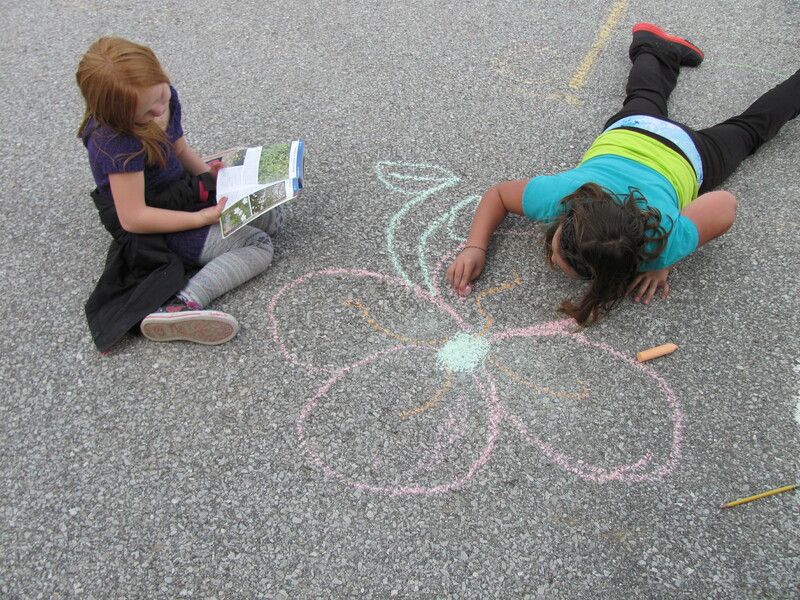 The objective of today's field work was to celebrate the biodiversity that exists within our schoolyard. 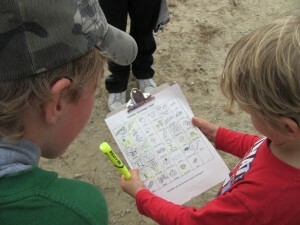 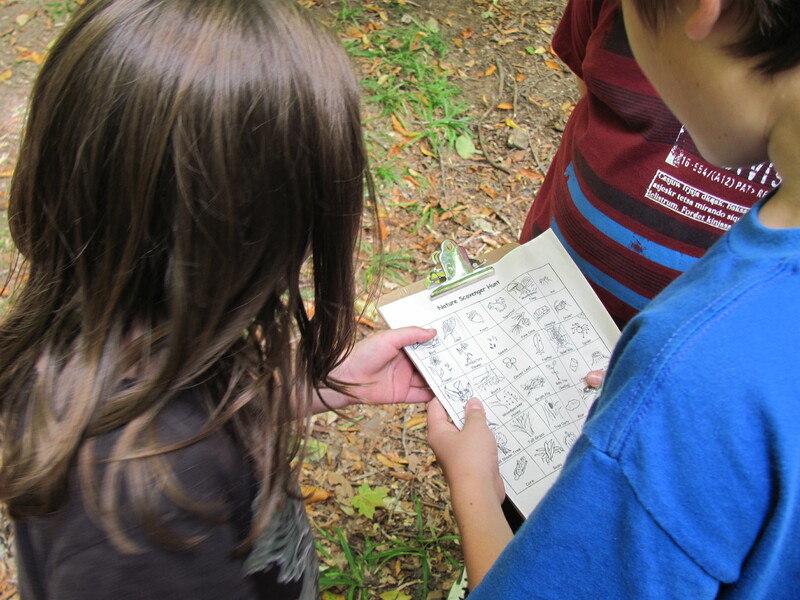 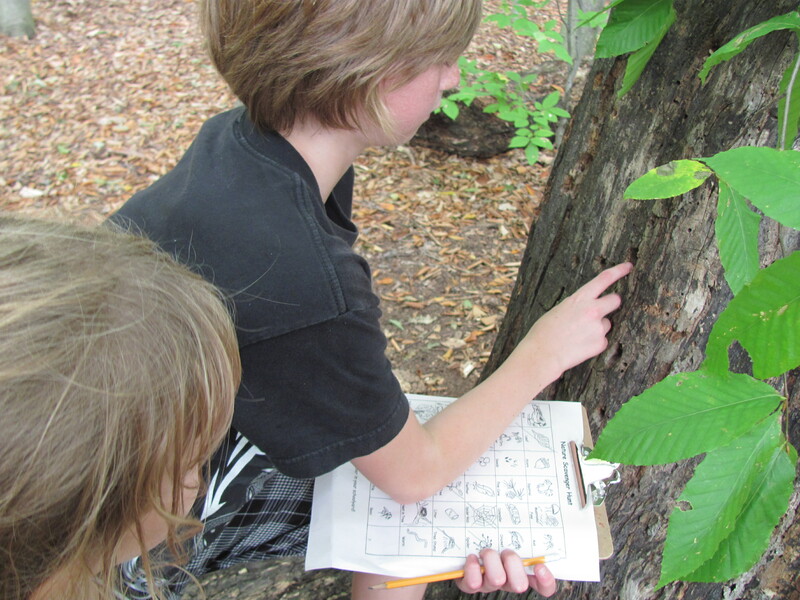 Students started by completing a nature scavenger hunt. 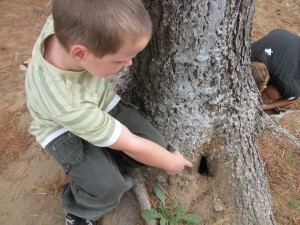 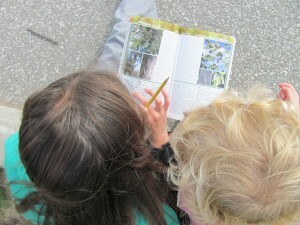 They looked for a wide variety of habitats, plants, insects, spiders, birds and mammals on the yard. 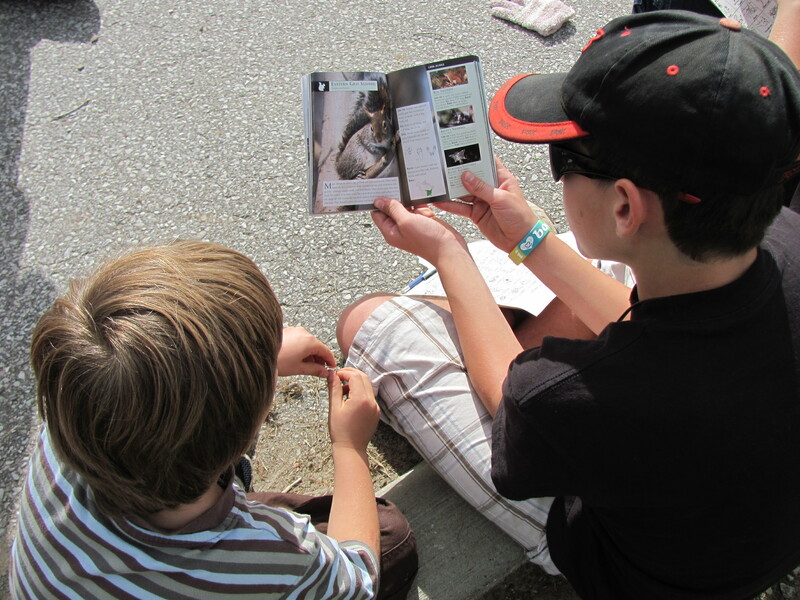 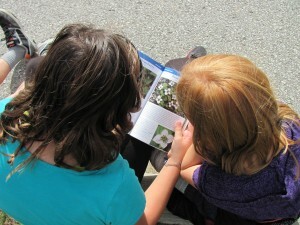 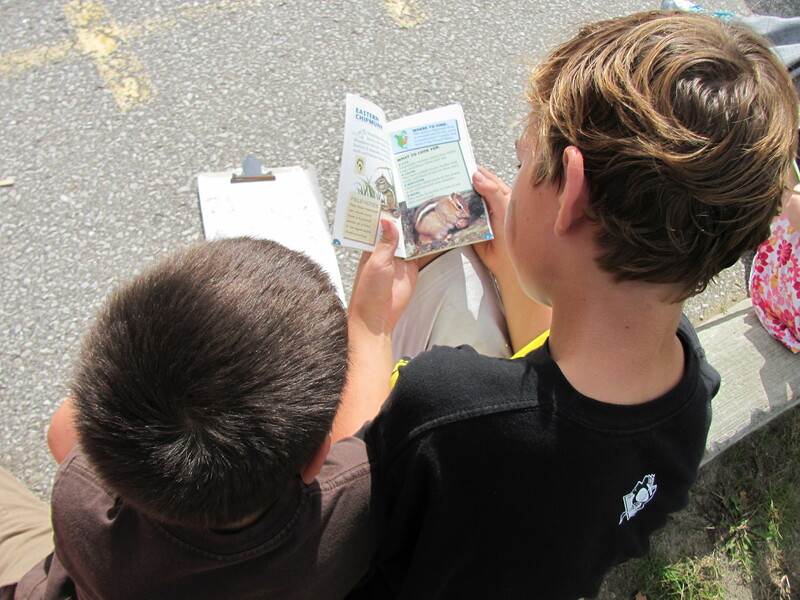 After the scavenger hunt was complete, the Grade 6 students each took a field guide and looked up information about a species he or she found on the yard. The Grade 6's then read that information to their Grade 1 buddies. The final part of our biodiversity celebration involved drawing the species that Grade 1 and 6 buddies had read about in the field guides. 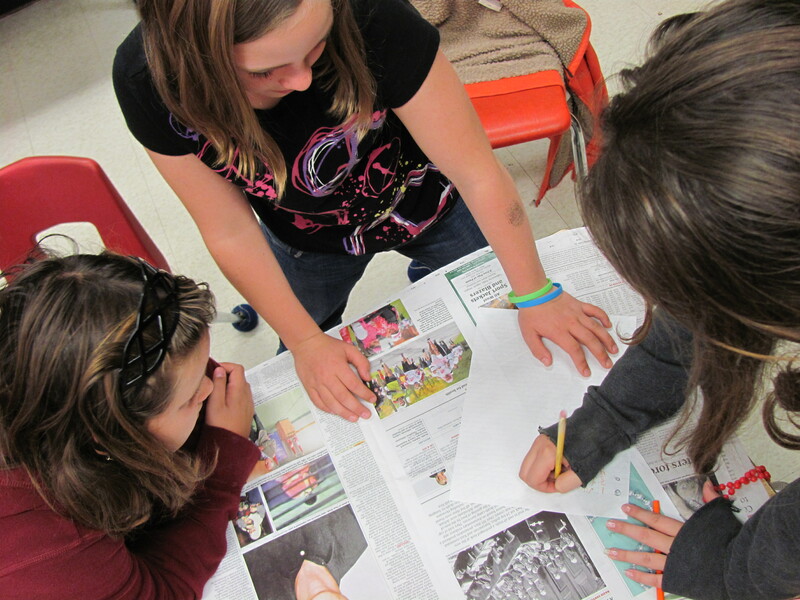 Media Literacy: What’s in the News? 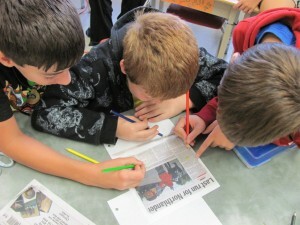 Author Margaret BlackPublished on October 2, 2012 October 2, 2012 Leave a comment on Media Literacy: What’s in the News? Students were arranged in groups of three. 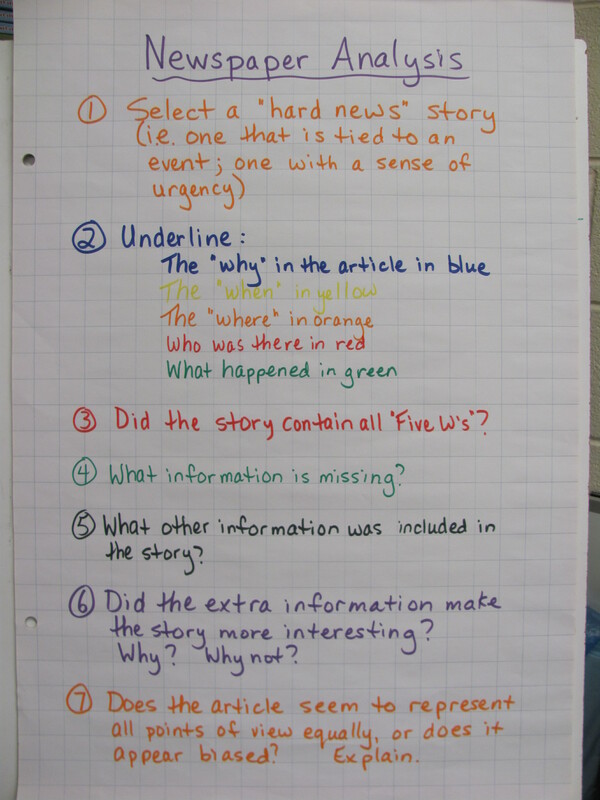 Each group chose a "hard news" story from one of the newspapers, and analyzed it using the criteria on the left (click on the image to enlarge it). A "hard news" story is one that is tied to an event and/or has a sense of urgency attached to it. 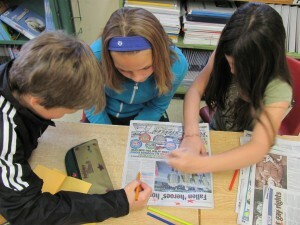 After completing their analyses, groups shared their findings with the class. 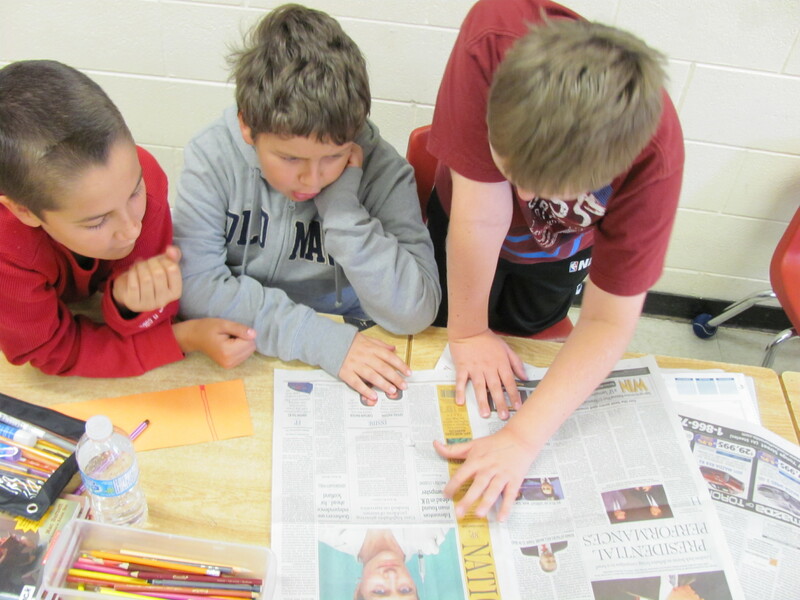 Students discovered that almost all news articles include "the five W's" (why, who, what, when and where) and provide additional quotes and information. 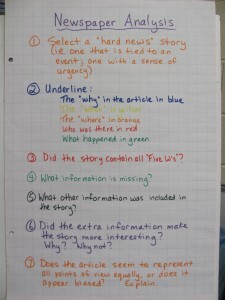 Often, this extra information helps readers to feel a connection to the people in the story. 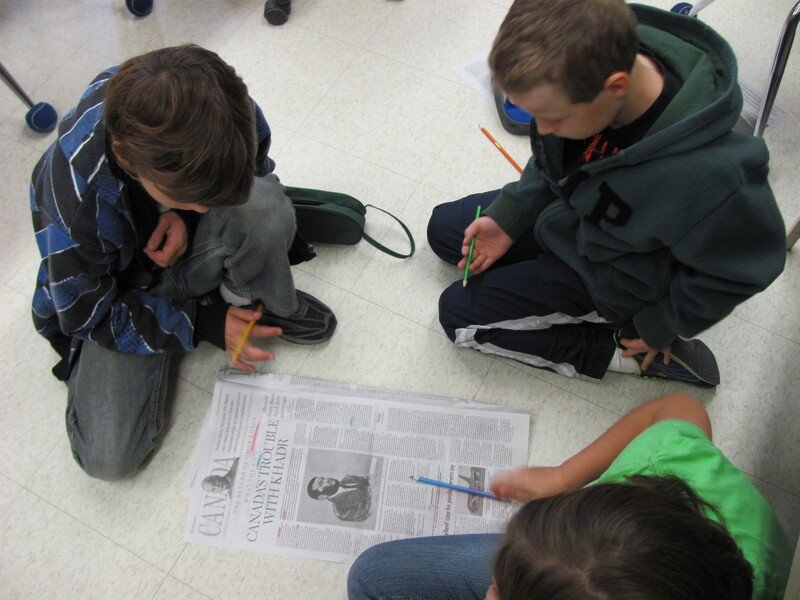 Students also discovered that some articles report just the facts or provide readers with a variety of different perspectives on an issue, while other articles seem more like persuasive writing, attempting to make readers take one side or another on an issue. 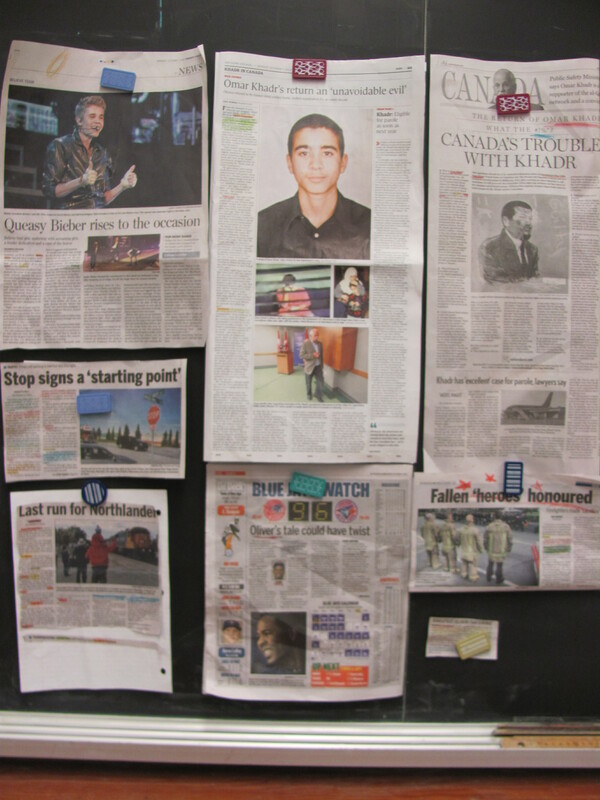 This last insight led to a lively discussion about the various ways that Omar Khadr has been portrayed in the media. 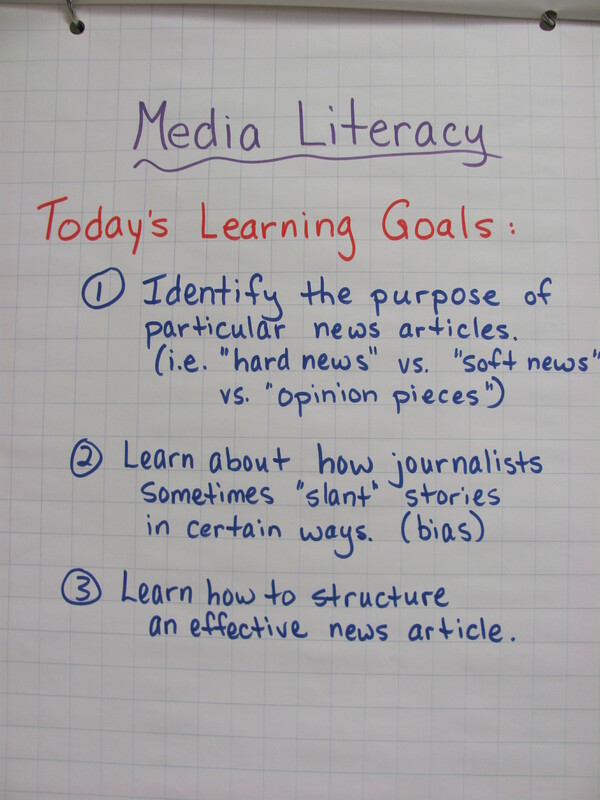 In our next media literacy session, students will apply today's learning to the task of writing their own news articles. I'm hoping to entice some of them to write news for the class BLOG. 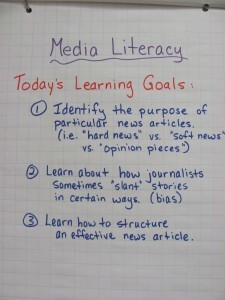 Published on October 2, 2012 October 2, 2012 Categories LanguageLeave a comment on Media Literacy: What’s in the News?